All Sensenich wood airboat propellers are manufactured from aircraft grade birch and feature composite reinforcement around the last half of the blade. This allows the removal of the traditional metal cap on the end of the blade that contributed to so many service problems in the past. The composite prevents erosion and foreign objects from exposing the wood fibers to the elements. This gives you a longer lasting wood propeller when cared for properly. A riveted and screwed on stainless steel leading edge gives addtional erosion and damage tolerance. 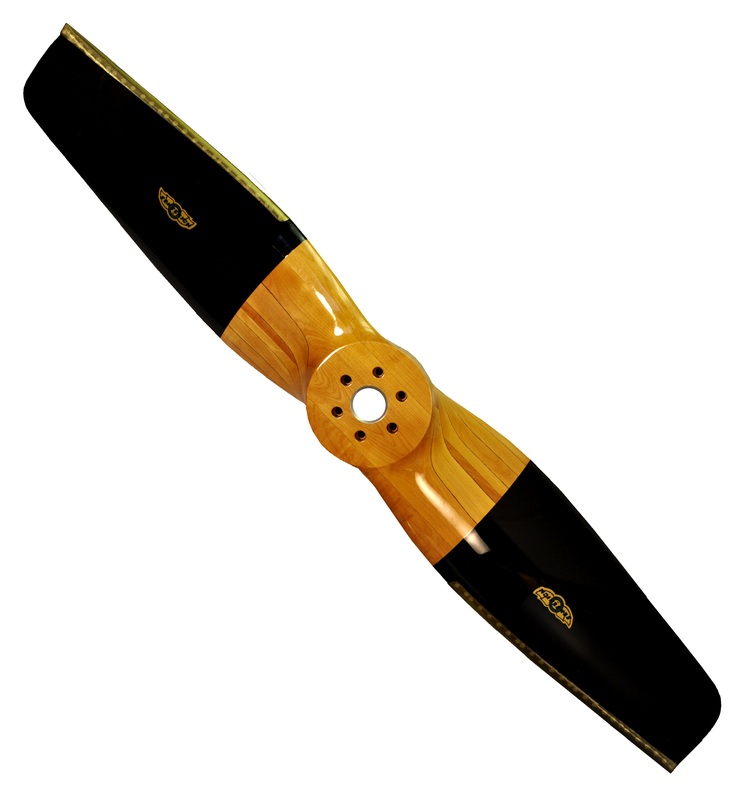 Wide blade wood propellers are available in 70" diameter up to 90" diameter. All pitches can be manufactured. Bolt patterns to match your specific engine can be incorporated into any propeller.